If you are reading this article on your phone and tapped on it after seeing it in your Facebook newsfeed, then congratulations – you are reading an “Instant Article”. The article should have loaded instantly rather than taking a few seconds to send you to the Sciblogs website. It should look quite nice, with a clean interface and crisp text. 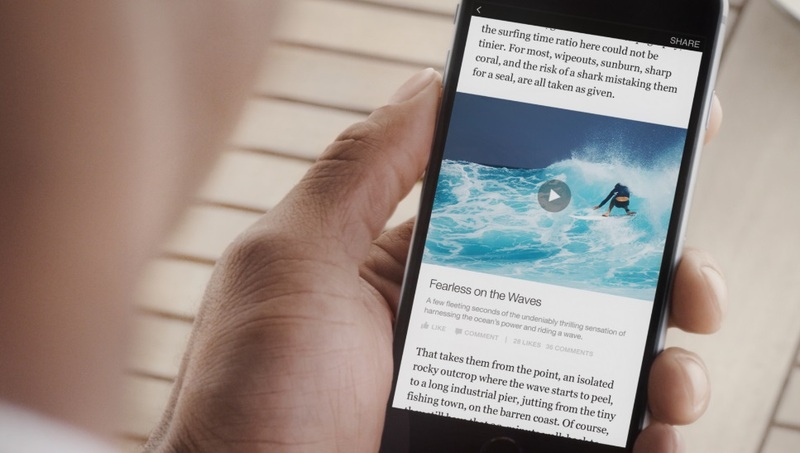 Instant Articles are the creation of Facebook, which is increasingly a source of traffic for media outlets. To give you an idea of how important Facebook has become as a driver of traffic for the media, consider some of Sciblogs own statistics – around 21% of traffic to our articles is derived from Facebook, 9% from Twitter. So 30 per cent of our traffic is from social media where we post our articles on Facebook and Twitter and where people share them with their own networks. Already, Instant Articles account for 7% of our traffic and we’ve only had them live on Facebook for a week. 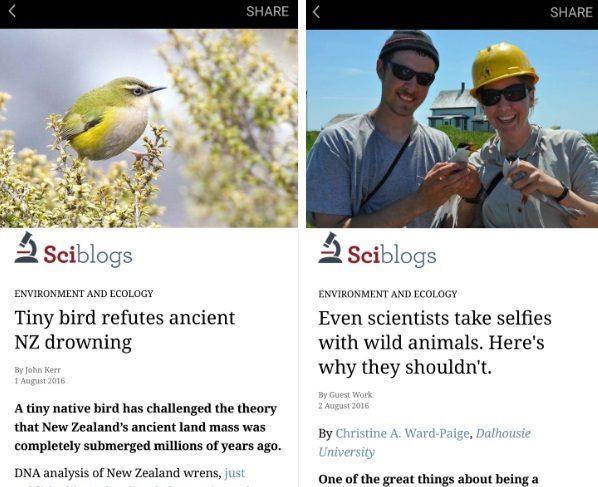 But people who read Sciblogs articles as Instant Articles aren’t necessarily being driven to our own website. In fact, many of them may never visit Sciblogs, but read a lot of our writers’ content on Facebook. That is the emerging future for media outlets and what Facebook is encouraging with Instant Articles. It could be that, in the next few years, some media outlets find that the bulk of their audience is consuming and commenting on their content on social networks and never visiting the original source of the content. A few years back, that would have been unthinkable for a publisher like Fairfax, which owns the Stuff website, or NZME, publisher of Herald Online (both have implemented Instant Articles, as well as independent news and commentary website The Spinoff). But those sites are now able to share advertising revenue with Facebook, splitting the proceeds from those ads embedded in Instant Articles while giving their readers more convenience. It is a bit of a gamble for publishers who are definitely ceding power to Facebook. But many are jumping aboard as they realise the power of Facebook and its ubiquitous newsfeed. It is less of a risk for Sciblogs, because we are ad-free. We don’t have to worry about revenue split equations, we just want as many people as possible to read, share and comment on our content as possible. So check out our Instant Articles on Facebook – on iOS, Android or the Windows Mobile version of the Facebook app, and let us know what you think!